Authorities: Gunman wounds 3, kills self in Neb. 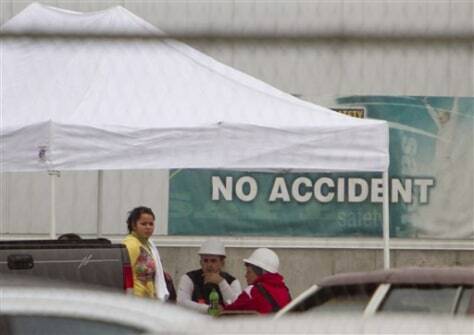 Employees of Americold Logistics are seen in a break tent outside the plant in Crete, Neb. on Thursday. A man shot and wounded three people at the cold-storage facility where he worked before apparently shooting and killing himself, authorities said. Saline County Sheriff Alan Moore told the Lincoln Star Journal that about 35 people were at the facility when the gunman opened fire at about 10 p.m. Wednesday.